The year 2012, or 5772 תשעב in the Hebrew calendar, has probably inspired more prophecies than any other year in history. My suggestion is to ignore all the prophecies not because I don’t believe in prophecy but because the Bible tells us so. This article is intended as a simple study guide for 2012 and the years until the arrival of Mashiach, redeemer of the world. This brief study will provide you with the consciousness and tools to protect yourself and your loved ones from the negativity that may arise in the ensuing period. Prophecies aside, why are so many people experiencing internal and external shifts and feel there is significance to 2012? This year could be the most significant in the history of humanity—especially for the Israelites, wherever they may be in the world—because world events taking place today are creating changes in the spiritual realm. This shift could put us on the direct path to salvation and immortality. And what could be so bad about that? The primordial Snake, who first caused mortality to come into existence in this physical realm, could strike out in full force—poison us with a myriad of lies, half-truths, fears, and illusions—in order to steer us away from the Light in preparation of the Final Redemption. The Bible tells us the Snake, who was born on the sixth month of the year (Virgo/Elul), represents all forms of negativity, and he gets his power from the number six. We are under the influence of the Snake six days a week. The entire process of correction of the soul is represented by the number six. And, there are numerous instances throughout history where the number six played a significant role. The Snake revealed the full extent of his powers six hours before the end of the sixth day of Creation by steering Adam and Eve away from the Tree of Life reality and tricking them to connect to the Tree of Knowledge of Good and Bad instead. As a result of this trickery, the Snake made Adam and Eve lose the Light of immortality they had enjoyed in the Garden of Eden and brought mortality into existence, dramatically altering reality on this physical plane. While en route to the Promised Land, the Israelites received the Torah on Mount Sinai, the biggest event for achieving their complete redemption. Not surprisingly, the elements of negativity—embodied by the Erev Rav (the Mixed Multitudes)—rose up six hours before Moses came down from the mountain with the tablets and instigated the sin of the Golden Calf. This event corrupted the spiritual energy manifesting in that moment, and the perfect Torah of the redemption was destroyed. Moses had to go back up the mount to bring a new Torah, which now included a longer process required to correct the sin of the Golden Calf. In 1948, Israel was officially declared a state, a homeland for all Israelites that called upon them to return home to the Promised Land. This historical event started the “gathering” God promised, a process that marked the beginning of the Final Redemption. 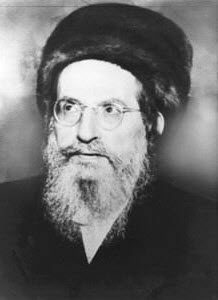 At that time, Rav Ashlag, the greatest kabbalist of the last generation, was working on the Hebrew translation and commentary of the Zohar. When he learned about the declaration of the state of Israel, he rejoiced and said it was the beginning of the Final Redemption and the fulfilling of Ezekiel’s prophecy. Not surprisingly, six years before the declaration of Israel as a state and a homeland, The Final Solution had been conceived and implemented during the Wannsee Conference held in Germany in January 1942. Soon thereafter, the systematic eradication of Jews went into full swing as Nazi labor camps were instead turned into death camps. The number 70 is also of great significance in the spiritual process. On the Hebrew calendar, we are now in the second year of the decade noted by the three letters תשע, with a numerical value of 770 that corresponds to “salvation.” And this year, תשעב, is noted with ב (bet). Numerically, the number two stands for Blessing ברכה. The negative aspect of the number two (everything in life has an opposite or contrast), however, are duality and separation. Because the Snake is an expert at separation, it is likely we will begin to see him busy at work injecting doubts and fears in people by offering half-truths. In fact, in Israel and other places around the world, we are already seeing an increase in separation in various aspects of society. For example, there are orthodox religious groups made up of Erev Rav using extreme religious rules (made up by the rabbis themselves and not decreed in the Torah) that create separation among moderate religious people, spiritual individuals, and non-spiritual groups. They raise flags of righteousness and say they adhere to the ways of God, but like the Snake, they use the words of God to paint a different picture of reality, one that creates separation. And, there are many “leaders of the people” who are asking us to follow them in the name of God, in the name of a higher truth. We should know, however, that one leader of the “dreamer” type (Deuteronomy 13:1-4) could lead millions down the wrong path. Before leaving the world, Moses told us how to protect ourselves. Moses reminds us we need to connect to the fundamental truth that we are tested by God individually. A strong group and community may help us stay on the right path, but the rules of the group should be based on the pure and fundamental principles of the Torah. In the end, God cares only about how we treat each other and not our degree of “religiosity.” Therefore, we need to maintain the consciousness of ONE—the combination of love and unity—in order to merit blessings and protection. As we have seen, the six years starting with 2012 and ending with 2018, the year 5778 in the Hebrew Calendar, could bring about the manifestation of a lot of negativity as the darkness of the Snake tries to rule the “night” before “sunrise” by whichever means possible. So, how best do we handle the tests and tribulations of this six-year period? Rather than wallow in fears and doubts, let us consider this time as a gift that gives each of us the opportunity to prepare our vessels by turning every single test into an opportunity for growth and purification of the soul. By having certainty in the system of the Light and restricting our negative impulses, we can transform negative situations while at the same time enlarging and strengthening our vessels to ensure greater capacity to enjoy the awesome light that will be revealed when Mashiach comes. The revelation of Mashiach, as God has intended it, will be a time when we shall be rewarded for our hard work on our individual and collective tikkun, and we will experience the purification and expansion of our souls. It will be a time when we shall live in a world with no pain or suffering, as well as a world without the presence of the negative side.